I got to meet my new niece, Samantha, last week and she's cute as button! When Eric and I went over to visit, her Dad said 'she's over in the box.' I assumed that 'the box' was hip parent speak for a bassinet, but while looking around for some sweet, white, frilly bed, I saw that she was literally in a box. 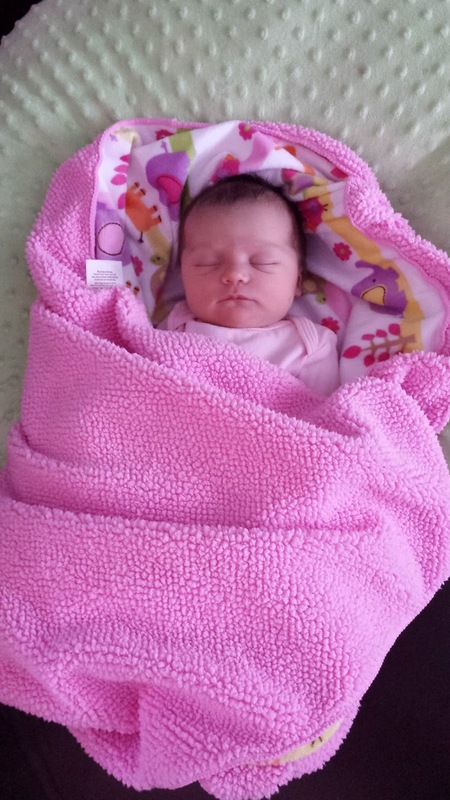 After oooing and ahhing, I bit the bullet and asked- in what I hoped would be a very non-offensive way- why the baby was in said box. You guys, Eric (ERIC!) was the first to respond and say 'why not? They do it in Europe all the time!' and before I could say 'who are you and what have you done with the man I'm about to marry?' he sent me this link. 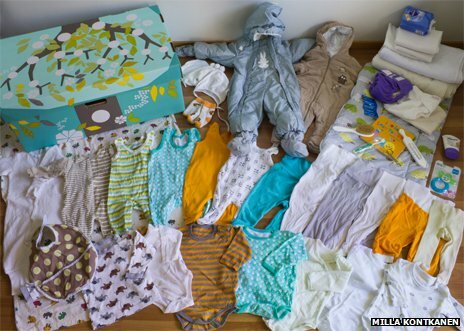 When Finnish women have a baby, the government gives them a box full of clothing and supplies for the newborn. The box then becomes a bed for the little one until they grow out of it. How cool is that? !